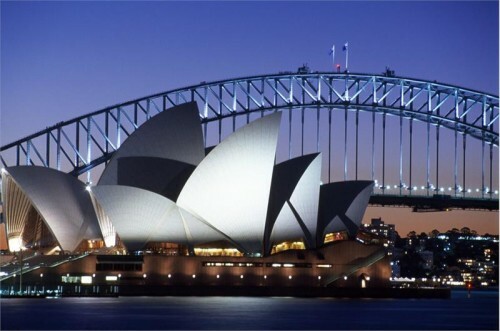 Really cheap flights to Australia: Sydney for €619! 5 star Qatar Airways now offer cheap tickets to Australia for flexible travelers. Multicity tickets Brussels – Sydney – Frankfurt are available for only €619. Standard price of flights to Australia is around €1000 or even more! Travel dates are from April until July. 30 kg luggage is included, expect 2 stops in Doha and Hong Kong. 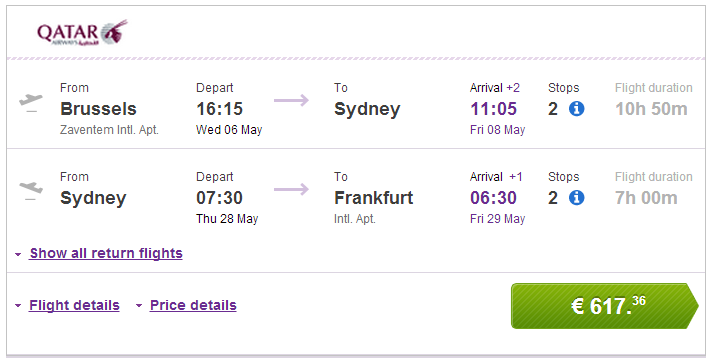 Book your ticket through Vayama (click on Show extra search options to enter return to Frankfurt). « Cheap flights to Cuba: Havana from Prague for €540!